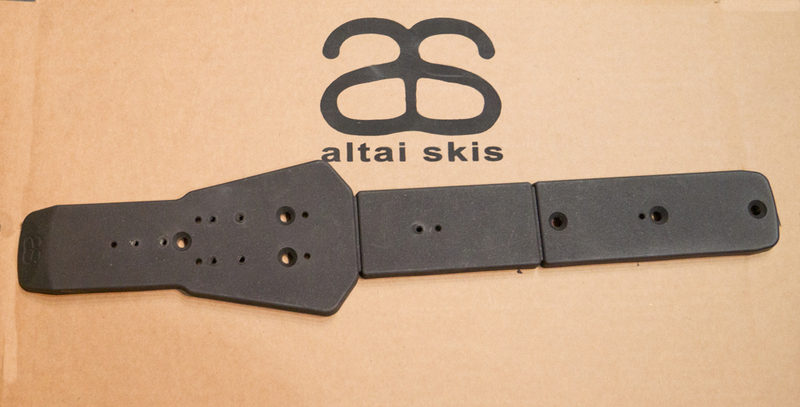 The Adapter Plate lets you mount Salomon BC (XAdventure) and Rottefella NNN BC(Magnum) bindings on the Hoks without drilling the skis. The adapter plates come with the screws for mounting the plate to the Hoks. 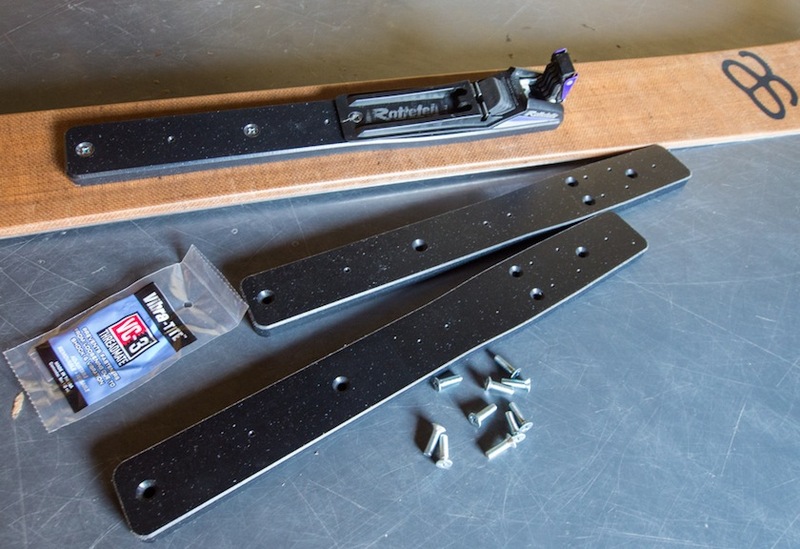 Manufacturer supplied binding screws mount the binding to the plate. 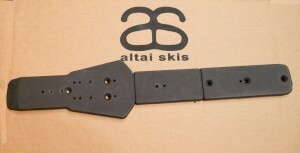 The plates can also be used for other bindings like the Berwins. 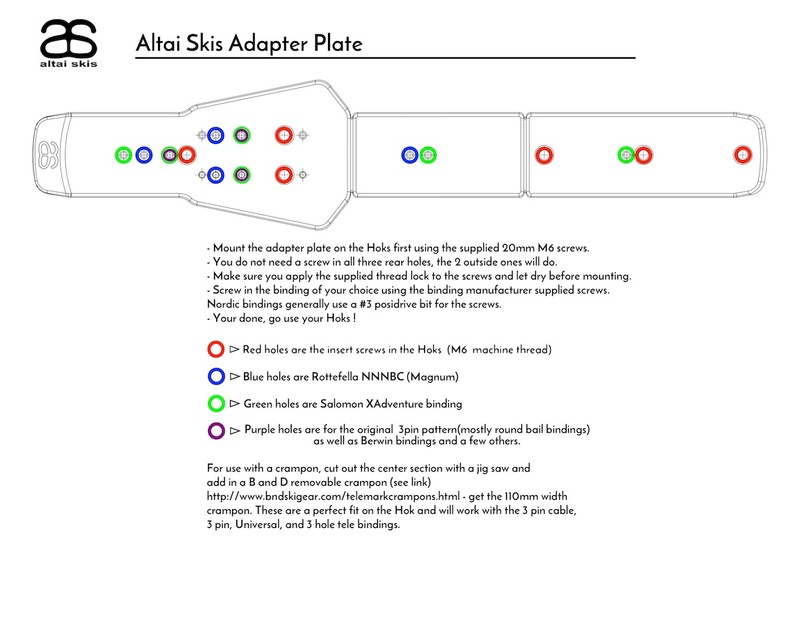 The Adapter Plate lets you mount Salomon SNS BC (X Adventure)and Rottefella NNN BC (Magnum) bindings on the Hoks without drilling the skis. Both the SNS BC and the NNN BC have a wider and beefier bar system that is quite sturdy. 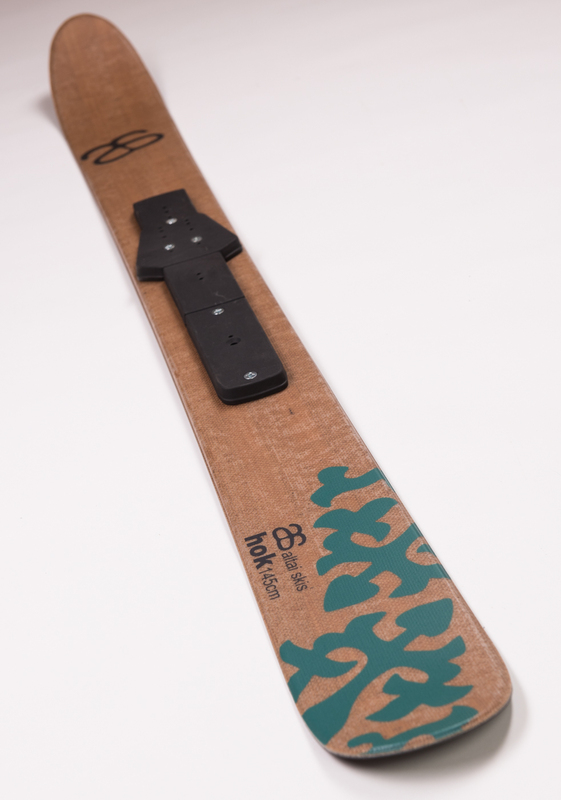 The boots and bindings in the BC systems are more supportive then the standard SNS and NNN bindings used for track skiing, which we do not recommend for the Hoks. 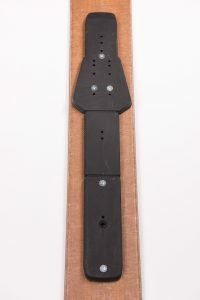 The adapter plates come with the necessary screws for mounting the plate to the Hoks, and the screws that come with the particular binding can be used go into the adapter plate. We also supply a small pillow pack of thread locker that should be used on the screws that we supply that go from adapter plate to Hok. We have opened a mold this year (2015) for the adapter plates. Previously we cut them on a CNC machine. The advantages to a mold are weight and design. The new plate, even with the wider foot support area, is 15% lighter then the old plate. Additionally, we widened the under foot platform so the boot will not roll off the sides of the plate. Other additions are some new holes that will fit traditional 3 pin bindings as well as the Berwin binding. 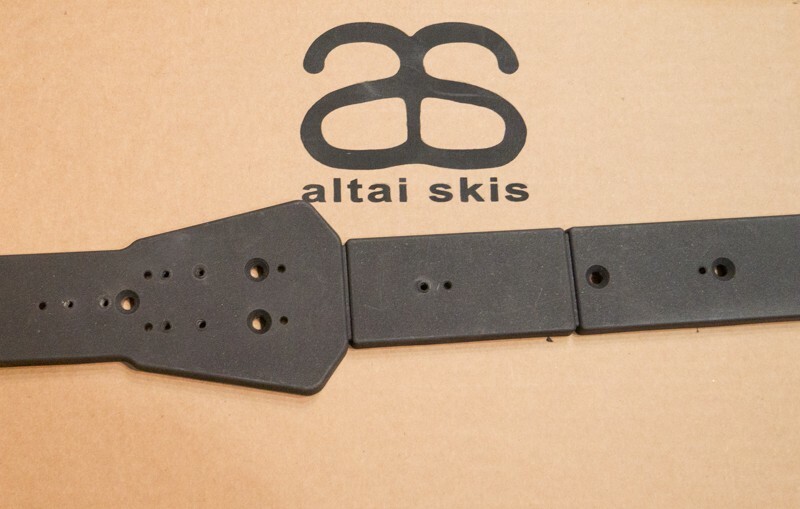 Last but not least, the center section of the adapter plate is designed to be cut out, leaving a space that will fit a B and D Crampon , this allows for a removable pivoting crampon to be used with the Hoks in really hard or icy conditions.